Insulin 100IU in bodybuilding is a proven tool that is in great demand among strongmen. I use anabolic drugs as additional supplements in bodybuilding for a long time. The first wave of their popularity began in the seventies, and heavyweight athletes continue to use them until today. For most people who are not related to bodybuilding, there is no difference between anabolic and doping, so there is a stereotype in society that all these drugs are harmful, and people with large muscles are biased. First of all, it is worth noting that anabolic is not a universal remedy that has taken and nothing else to do, on the contrary, it is just an addition to proper nutrition, which affects the launch of many effective processes for building muscles. How do Insulin 100IU bodybuilders properly take? The use of Insulin 100 IU in bodybuilding has another aspect that is less pleasant for a bodybuilder – the growth of adipose tissue, since insulin is involved in the transportation of any substance. It affects not only muscle mass, but also fat mass, which needs to be quickly processed through physical exertion. Genetic predisposition of body physiology. For people with ectomorphs who do not have fatty excesses, insulin will become a good helper in “pumping” the body. For endomorphs, with coarse bone, which are easily healed and prone to obesity, this drug will not only be useless, but also create the opposite effect. Insulin 100 IU in bodybuilding how to take? Finding out the nature of this substance and how it is associated with muscle building, you can go to the practical part and the basic guidelines for the use of the drug. First of all, it is necessary to focus on the fact that athletes use insulin of only short-term and ultrashort action. 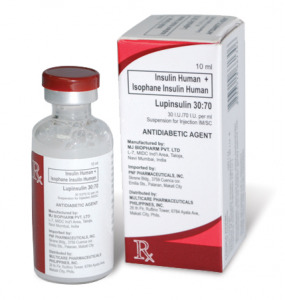 Insulin is released approximately 6 hours after the injection. The first type, of short action, reacts with cells and substances within half an hour, reaching peak activity already at the second hour after application. Enter the drug subcutaneously, 30 minutes before a meal. The second type, ultrashort action, starts all the necessary processes of assimilation and processing of carbohydrates with amino acids almost three times faster. It is administered either during meals or immediately after a meal. Also, the body is cleared from the drug faster, a maximum of 4 hours after the injection. The course of insulin in bodybuilding is calculated for a month with a maximum of two. The period and frequency of use of preparations containing insulin is a very important point.